After 5 day since the premier screening of one of the most anticipating movie of the year 2009, I finally able to watch the movie today, together with my friend :) What movie I'm talking about?? 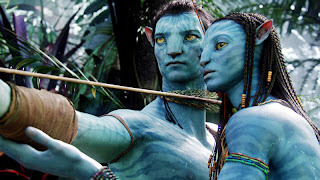 The movie written and directed by the famous director James Cameron (Titanic, 1997) does draw the attention of whole globe and for nearly 10 years of planning and making, finally the movie successfully make its premier worldwide (except for China, they have to wait til next year). The setting of the story start around 2154 year on a fictional planet call Pandora, where humans travel to here, for the valuable mineral call the Unobtanium. 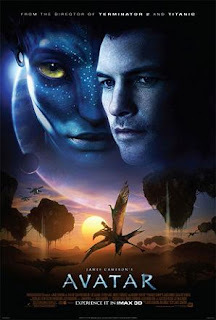 The human meet with the species of sapient humanoids called the Na'vi who is the inhabitants of Pandora, and the Na'vi often sabotage the operation of Unobtanium deposition. 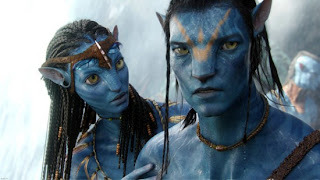 Therefore scientist/researcher Dr. Grace Augustine create the Avatar Program, by creating human-Na'vi hybrids which human can link to their avatar and control the avatar body so that human can learn the way of the Na'vi and find a diplomatic solution. 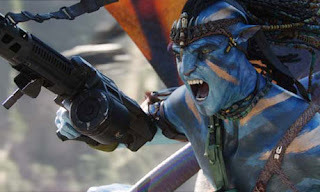 For the whole 2 and a half hour, I enjoy every second of it, I mean the movie have everything from storyline, adventure, action, romance, funny and with all the spectacular view and scenery of Pandora, I think the movie also delivers some important message to its viewer such as destruction of nature by human and intercultural conflict. Very very good movie indeed, plus I only spend RM5 on this movie (lucky^^), definitely one of the best movie of 2009!! i pun watch before screening lei..din c u d..
but the climax kinda sad.